Why More Noise with VVR Flop Than NTR's Flop? As we all know, Natasimham Nandamuri Balakrishna's NTR Kathanayakudu had done pre release theatrical business worth Rs.72 crores but collected Rs.20 crores. Thus, the film suffered 77% losses in its full run. On the other side, Mega Power Star Ram Charan's Vinaya Vidheya Rama had done theatrical pre release business Rs.90 crores and minted Rs.63 crores in its full run in spite of carrying disaster talk on day one. Obviously, there should have been ruckus against NTR makers as they suffered abnormal losses while there should have been less intensity of protests against Vinaya Vidheya Rama's makers. Strangely, a reversal of the situation has been noticed. 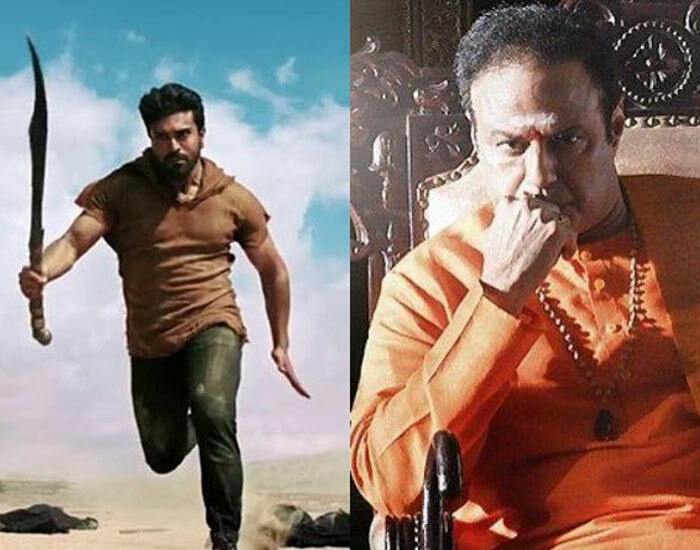 While NTR buyers have observed stoic silence despite heavy losses suffered by them, some internal conflict between the makers and director of VVR appeared to have been triggered. But then, why this bizarre happened between both the films? Following reasons might give us the clarity. * Balakrishna promised Kathanayakudu buyers to give Mahanayakudu for free of cost. Obviously, buyers were pacified with Balakrishna's decision. VVR buyers have also made no noise. Media buzzed that there were differences between director and hero. It is yet to be studied, whether media has gone overboard in reporting the news or was it a genuine news. * Balakrishna habituated to deliver maximum flops for the past few decades. As such, buyers might have accustomed to such losses. On the other hand, Ram Charan is said to be a superstar who has great success track record. And that is why, his flop film too created much impact among movie buffs and media.